It is with deep regret that I report on the passing away of a man I held in the highest regard. Jim Goddard of A-Line Coaches, and indeed, Jim's Taxis prior to this, unfortunately passed away on Wednesday, just a matter of hours after completing his final duty on Service 80 the evening before. As I'm sure many of you realise, with the regular postings on the company over the years, A-Line held a special place in my heart, and indeed, that's all down to the wonderful man behind it all. I've got some quite early memories of Jim, soon after starting school at Fourlanesend Primary. The school being right at the top of a steep hill meant that on wet days, the walk wasn't particularly inviting, and even on a good day, the steepness wasn't kind to 5 year old legs, so more than often, Mum and I would hop aboard 'Jim's Bus' and journey to Fourlanesend. The way he looked after us on there was quite unforgettable and indeed, completely selfless. Not only would he get out of the bus and help us cross the road, not only would he let all the kids have a toot on the horn as they got off, but every Easter and Christmas he would always buy chocolate for all the regular kids. What a fantastic impression he gave of the industry. 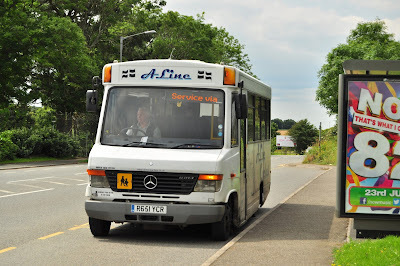 It's the small things you remember, such as on the old 270, where there was always extra time built into the timetable at St John to allow him to park up, pop into his house for a cup of tea and to read the post, before then continuing on to Trago Mills again with many happy regulars aboard. Jim on many occasions would also act as a bit of a mentor for me as soon as I began taking an interest in buses. Although not an enthusiast himself, he was always very accommodating of my strange hobby. 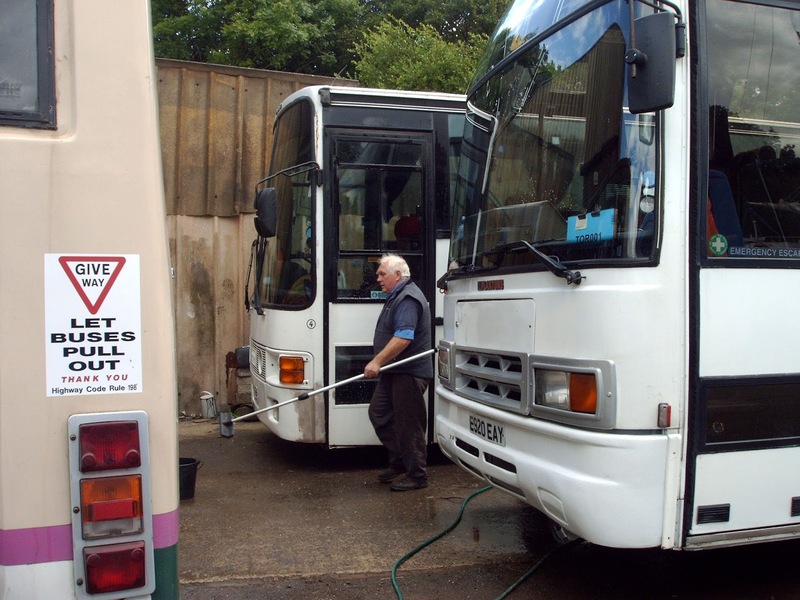 He was never one to hide things from anyone, and over the years I've learned a lot from the constant feed of information about the goings on behind the scenes of a small independent bus company. Undoubtedly many would try to keep a lot of the things I got told under wraps, but Jim always thought it was best for me to learn what went on, and indeed, it was this that began to inspire me to take up the path I am now taking in life. Transport Management wasn't actually necessarily the thing I was looking to do, and we used to talk about my prospects regularly. It was Jim who planted the seeds in this respect, moving me around from my original thoughts of going into engineering, to what I'm doing now, and without any shadow of a doubt, without his supervision, I may well have ended up making the wrong decision in the long run. Again, there aren't many bus drivers who are so enriching to your life in such a deep and personal way, and I owe a huge amount to Jim in this respect. Even the day to day things, he was always there as a shoulder to lean on, offering proper, realistic advise that really helped. The way he always looked out for people was another trait that was always so endearing. 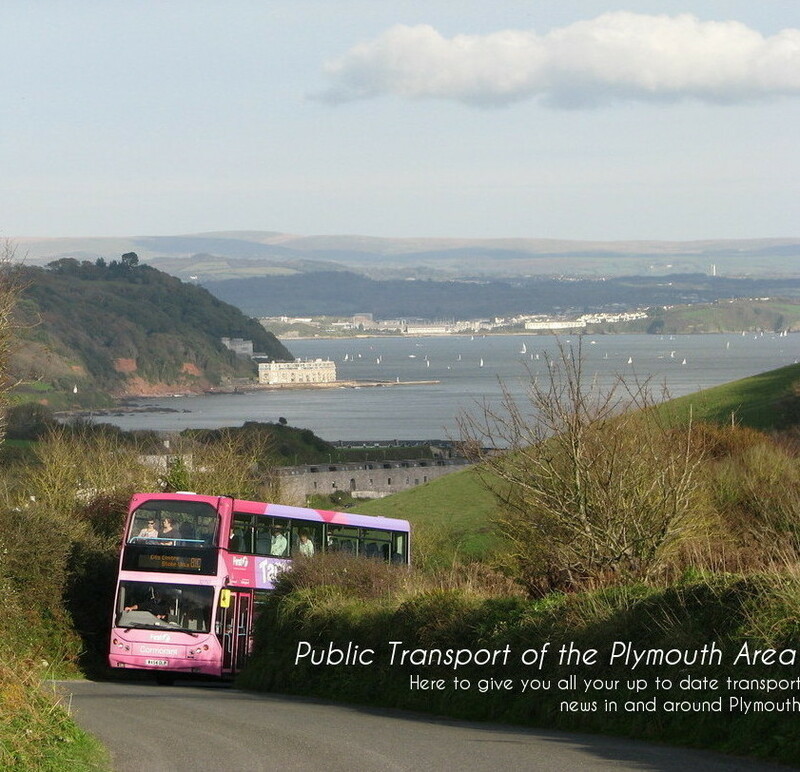 Again from the little things such as his constant waving to people around the Rame Peninsula from the wheel of the bus. When people wave at the vehicle, despite whoever may be driving, really, they're waving at Jim. New drivers have always commented how everyone's always waving at them, and they have no idea who they are! Goes to show how well known and loved he was among what is quite a tight-knit community. He'd look out for you in other ways though. 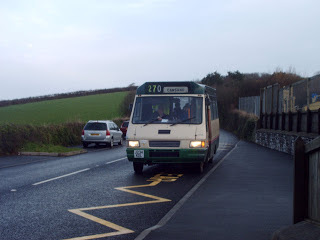 When I first started at Devonport High, LFJ 847W failed on us at Insworke. Jim was soon there though with Iveco J234 KDL to cover the journey, and as he loaded everyone on, he told all First's passengers not to worry about paying him "I just want to make sure you get to your ferry". Not a journey he had to do, not a thing he had to oblige to, taking no fares, but again, just one of an endless stream of selfless things he did to keep the community moving. During snowy periods he was unable to move the bus out of St John, as the roads were never gritted, so rather than give up the service for the day, he'd park the bus up on the main road a good mile away up a very steep hill, and walk there at around half 5 in the morning, to make sure his service was maintained, whilst First in some cases wouldn't run to the villages at all on these days. His commitment to the community was just fantastic. Leading on from this, he used to run the local Youth Club in his very limited spare time; always an integral part of the community, even though it made his life more difficult, the people always came first. 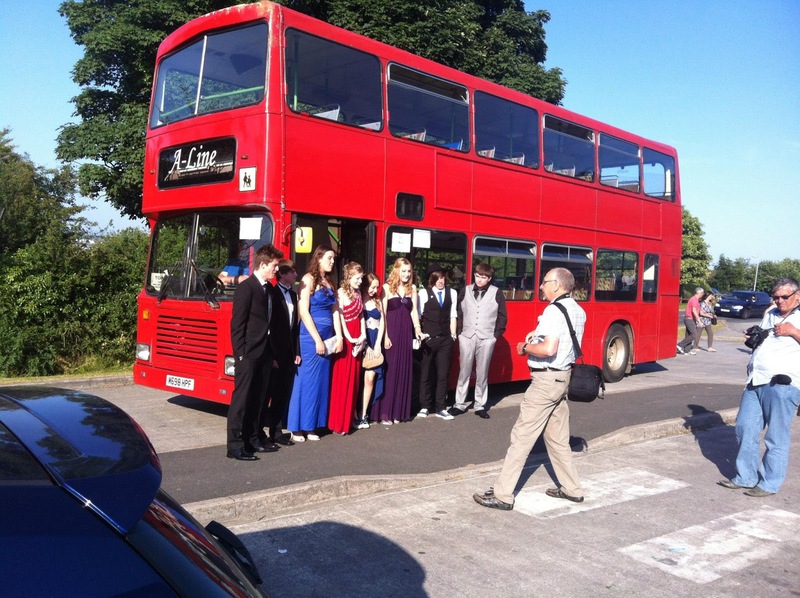 As posted above, another classic example of him stepping in at the last minute was recently at the Torpoint School's Leavers Prom, where the group's original transport failed them, so Jim stepped in and provided M698 HPF as their transport with a difference to make their evening that bit more special. 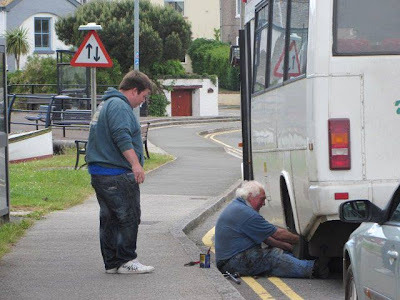 He was always very hands on in the running of the business as well, if there was a problem with your bus, he was the one on hand, he'd instantly drop what he was doing and head down to, very often, fix it at the roadside. His knowledge of raw mechanics was boundless, but it was also the way he came up with such simple solutions to problems, that few other people would even think of, that was so brilliant. You could always tell when a bus had been 'Jimified' to coin a term I've used previously for a repair this is just so obviously, only a thing that he would do. His whole thought process was truly unique, such a clever, thinker, if that makes any sort of sense. I did once ask him, why A-Line Coaches was named A-Line Coaches, and his answer was the perfect embodiment of his type of thinking. "Well, I named it A-Line so that it would appear as the first entry in the Yellow Pages, so that I would usually be the first person they contacted". Just a totally straightforward piece of logical thinking. After their working lives were up, the buses would often find a good home, not always one that would be expected either. The two Ex-Southern Vectis Ivecos were donated to a local charity to transport people to beach cleaning sessions. The R reg Iveco has now been sold on to be converted into a camper van, and as you know, R178 NPN the Volvo B6 has now been passed on into preservation. I'm sure Allan will testify that Jim helped him a fair amount during this stage once he knew his plans for it, with him helping prepare for the move and so on. Again time and effort put into something that didn't directly benefit him, but meant a lot to others. I could go on for far longer, I have so many great memories of being with him over the years, as do many others around the Rame Peninsula. It's come as a great shock to many people, particularly because it was so unexpected, he was always so fit and well. If there was ever a man who deserved his retirement, it was Jim, and indeed he did have plans to semi-retire come early September when he intended to let his licence go and not complete the CPC training. But as was so typical of Jim, he decided that this life wasn't for him, he wouldn't know what to do with his time, and hence he did complete his CPC training ready for more years at the helm of A-Line Coaches. My little tribute to in all honesty, one of the greatest men I ever had the privileged to know. His advise given to me over the last 10+ years will undoubtedly stay with me forever. He has been a true inspiration to me, and I intend to honour this as I progress through life. Without his guidance, who knows where I might be now. Rest in peace Mr Goddard, one of life's true gentleman's gentleman. Well said Laurence. He'll be missed by everyone. A Brilliant Tribute to a lovely man. There are some beautiful, comments and fabulous memories here. Jim will leave a Hole in a lot of peoples hearts, but he will be remembered as a legend to so many. I was blessed to share in a lot of these memories, and will always hold them quietly in my heart. The amount of times i pushed the blessed bus is too many to recall. He'll be missed more than most. Walking my dog in the morning won't be the same without a wave from Jim as he toodles past on the bus. Wonderful tribute to a wonderful man. Beautiful Lawrence. A very fitting tribute for a very special man. I'll never forget , I was walking with my dog through St Johns one day on my way back from Whitsands. I was in a real rush for something that was important at the time- but I cant remember now- anyway Jim came past me in his minibus and could clearly tell I was more than a little bit flustered, He pulled up next to me and the dog, opened his doors...and asked if I wanted a lift!... bless him... he didn't know me, but he didn't care, he dropped me off in Torpoint, and gave me a cheery wave and a toot as he drove off. A touching tribute to a great man, spurring memories of his dedication to each and everyone one of us youngsters, even the one's who gave him a hard time. I was one for a brief moment in my past. This never hindered the kind, caring attitude he had towards me or any other. RIP Jim, you will be missed but never forgotten. What an absolute legend. A completely selfless man whose service to the community knew no bounds. A fitting eulogy Laurence. May he ever rest in peace. Well done, Lawrence - your tribute sums up the kindness shown by Jim to all members of the Rame Peninsula and beyond. He shall be sorely missed! A fitting tribute Lawrence. I only met Jim the once, on a family holiday in 1993 when I was almost 10 but he welcomed us aboard his bus for nothing after spotting Dad's PSV badge - it was alien to charge a fellow bus driver. It is obvious from your tribute that Jim left a big impression upon you - the late Charlie Hookway left a similar big impression on me and I only got to work for him for just three months of a summer. I dearly wished it'd been more. Very sweet and lovely bus driver he was. He always made sure all of his passenger were happy. He will be always missed.